Lisa D. wrote us to ask about the most pain-free way to travel with her cat. She's concerned that she may upset her tortie who has a fragile digestive system to begin with. Well, Lisa, many cats travel quite well. You never really know how they'll respond until you try it. Strange places are rarely a cat's favorite thing, though, so it's a smart move to plan ahead so you can do what you can to make the trip comfy. If travelling by car, you have a lot more control over the situation. If your cat can be harness-trained, it's a good idea to start well before your trip. A harness can make it possible for your cat to stretch her legs outside of the car. Of course, many cats will be terrified of all the new sights and sounds and will want nothing more than to hide away in the carrier. Your cat must remain in the carrier and the carrier buckled into a seat at all times. If the speeding scenery and bright light bothers your cat, just drape a light towel over the carrier, but be sure to check on your feline frequently. You'll need the standard cadre of supplies for your cat, but you really shouldn't feed her until you're both settled in a quiet place that she can have a chance to explore. Indigestion is common enough in cats at home. Bring one on the road and it's all but guaranteed. Feed in small portions when you're in for the night, adding more only when the first serving has been consumed. If you know your cat well, you'll know when she wants more. Never feed her anything after midnight the day before the trip. Many of the same recommendations apply when travelling by air, with the added complication of dealing with other people. Many will want to poke and prod your kitty. It's up to you to fend them off. A cat who's cornered in a carrier will prefer not to make new acquaintances for the duration of the trip. 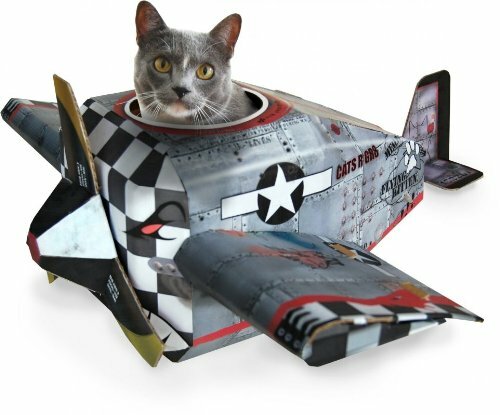 There are airlines who will allow your cat to travel with you in the cabin. Seek them out. Under no circumstances should you "check" you cat as baggage. It's amazing to us that anyone would ever allow it. We'll leave it to you to find all the worst horror stories online. Just trust us when we tell you that being locked away an extremely noisy, smelly, cold luggage compartment is no way to travel. Check with your airline of choice beforehand and make sure you know their rules. You may have to seek out a new carrier to accommodate them. 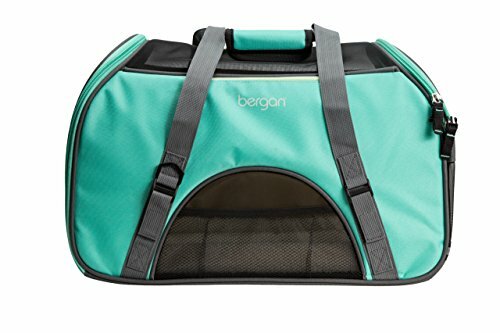 Many will allow you to store your cat at your feet during takeoffs and landings, and to hold the carrier in your lap during other times if the carrier isn't too large. Never, ever allow your cat out of the carrier when travelling. Not even for the TSA. If they must search the carrier, tell them you must be taken to a room that can be closed off from the rest of the airport. Your cat will be feeling somewhat panicky, and she might just make a break for it when you least expect it. Speaking of panic, we don't recommend any prescription relaxers. 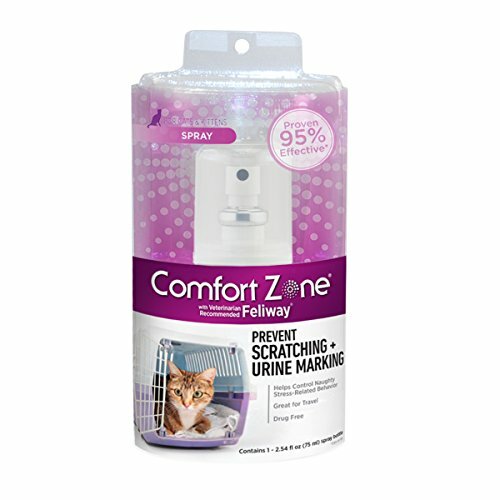 We've found that they do little to assuage your cat's fears and can actually cause harm when incorrectly administered. If you must use something, try Feliway spray inside the carrier. Last, but not least, check your own attitude before and during the trip. If you're stressed about your cat's comfort, she will be too. Cat's are extremely perceptive and she'll pick up on your anxiety. Unfortunately, she won't understand that you're simply concerned with her happiness and will assume, instead, that there is a threat to your safety. Play it cool and your cat will follow suit.